To receive our newsletter please click here. As the summer of 2018 comes to an end, we note that the Fort had a very active season! The Fort was busy with school programmes, day camps, and special events, including the Escape Room Festival. 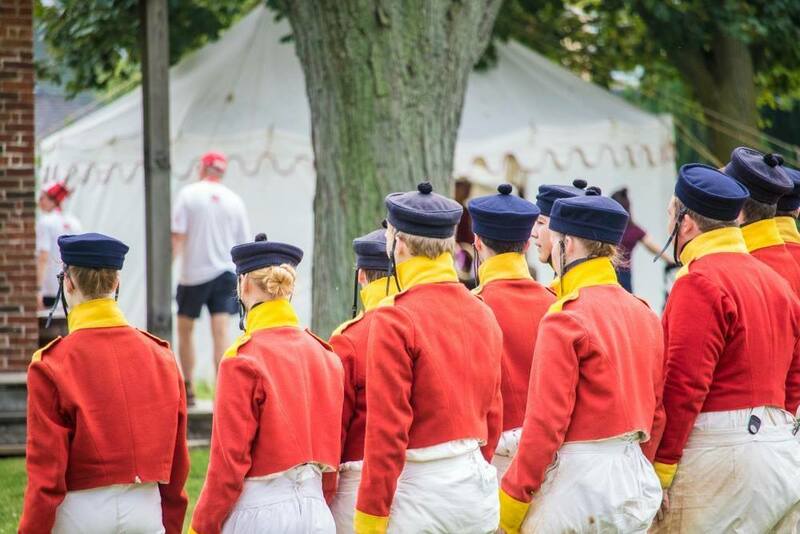 We were proud that the Friends of Fort Malden had 12 local high school students making the Fort come alive this year. The Friends of Fort Malden, in cooperation with Parks Canada, would like to welcome you to our 2018 season at Fort Malden National Historic Site. The Directors of the Friends of Fort Malden have been busy planning ways to improve the core of our services as we continue to support our mission. • 2018 Membership Campaign drive CONTEST! 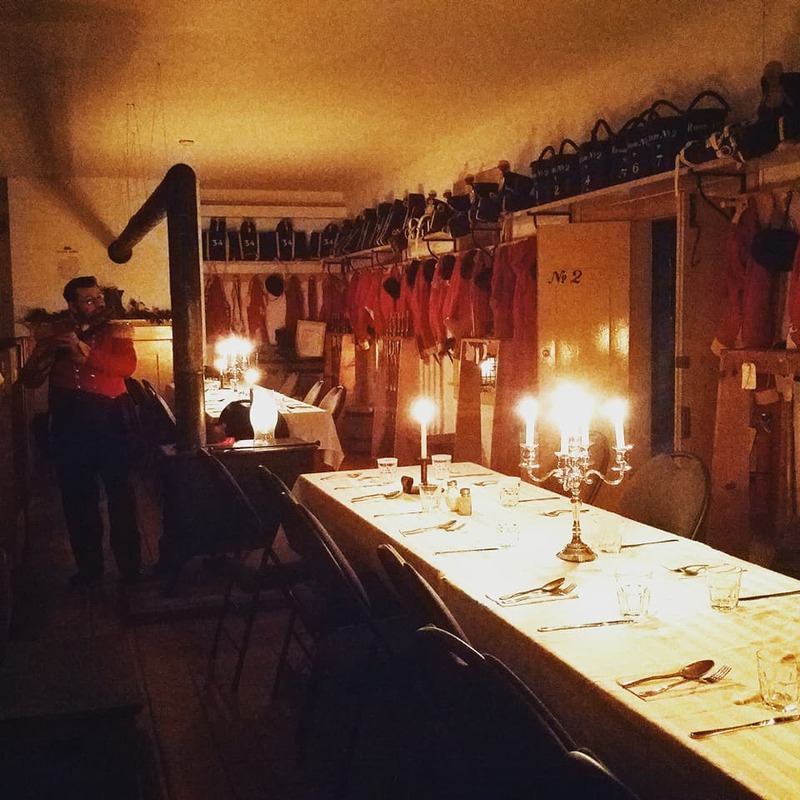 As the season turns to winter and the months are now cold and snowy, Fort Malden staff are using this time to prepare and plan for another successful year. This National Historic Site will once again come alive in the spring with attractions aimed to inform, educate and interact with the public. They strive to show the importance of this site and the time periods it represents. While the staff of Fort Malden are preparing for the upcoming 2018 events, the Directors of the Friends of Fort Malden are having planning sessions to improve the core of our services as we continue to support our mission. As summer 2017 coming to an end, this year the Fort was a very busy one! We had many visitors come thought the Fort to celebrate Canada’s 150th anniversary in many of our treasure items we have throughout the Fort. However, that was not the only thing visitors could see at the Fort, our 12 high school student made the Fort come alive in helping out with many thing we had going on such as the Escape rooms, Murder Mystery, Hands on History and several events throughout the summer, which including Canada Day festivities Raider, Redcoats and Rebel, and Art by the River. The Friends of Fort Malden are now planning new and exciting fundraising adventure in the fall and winter, and encourage all new and existing member to bring forward fresh ideas support the programming at Fort Malden. In June 2017, the Friends of Fort Malden held their Annual General Meeting in the Soldier Barracks. We encourage both old and new members to attend the meeting, and we held elections for the Board of Directors of 2017. Please join us in congratulating the newly elected board. Welcome to our 2017 season at Fort Malden National Historical Site. This year will be a very exciting year for us as we celebrate Canada’s 150th year of confederation. As you know Park’s Canada has free admission to all national parks, national historic sites, and national marine conservation areas throughout Canada. This includes our favorite site here at Fort Malden, and we welcome you to join us for the celebrations! Summer 2016 is coming to an end, and it was a busy one! The Fort was very busy with school programmers, day camps, and special events, including their new Murder Mystery, Plays and Escape Rooms. We were proud this year to have had 15 local high school students, it was the largest group we ever had. These students really helped make the Fort come alive. The Friends of Fort Malden helped out during several events, including the Canada Day festivities, Military Heritage Days and Art by the River. We are looking forward to planning new and exciting fundraising adventures in the fall and winter, and encourage all new and exist members to bring forward fresh ideas so that we may continue to support the programming at Fort Malden. In June 2016, the Friends of Fort Malden held their Annual General Meeting in the Barracks. We welcomed both old and new members to the meeting, and held elections for the Board of Directors for 2016. Please join us in congratulating the newly elected board. We also would like to give thanks to Fran Webster for her decades of service to the Friends of Fort Malden. Her presence at meetings will be sorely missed. The Friends received a grant from the Canada Summer Jobs programs to hire 15 high students to support the Fort this year. These students will be providing much of the animation on site, including being members of the Fort’s Drill Squad, interpreting the buildings, and helping the Fort to present their new events including the Murder Mystery, plays and escape rooms. It has been many years since the last Garrison Gazette, and in that time many changes have occurred. The first big change has been our name: no longer are we the Fort Malden Volunteer Association. As we are a non-profit charitable organization, which works in conjunction with Fort Malden National Site and Parks Canada, we have changed our name to Friends of Fort Malden. The Friends of Fort Malden have been very active over the past several years since our last communiqué, helping with Military Heritage Days, running a BBQ during Art by the River, holding an annual 50 – 50 Draw, and hosting several dinners with the ever entertaining Seamus Gunn at the Royal Canadian Legion Fort Malden Branch. updated on what is happening at our favourite historic site.